So first and foremost, you need to define your benefits and goals, making them quantifiable, measurable, and specific. If your goal in implementing the marketing tool is to draw in more customers to your store, make sure that you can quantify this by gathering the figures on how many customers were drawn or compelled by the signage to come inside and make a purchase. On the other hand, there is the cost. 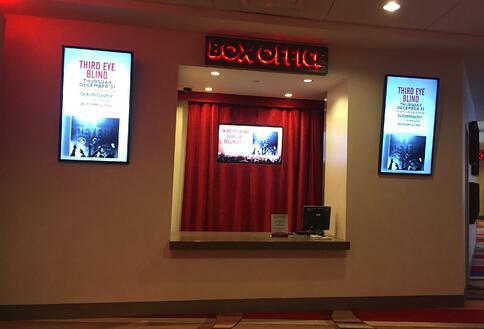 Is the cost of implementing digital signage worth the investment? The cost includes the hardware, software, installation, integration, and content, as well as training, maintenance, and upgrades. All these come into play when you measure the ROI. Clearly defined and measurable goals, prior to implementation, lead to more accurate digital signage ROI measurements. Determining the goals early in the planning stage gives you the advantage of effectively measuring your ROI. 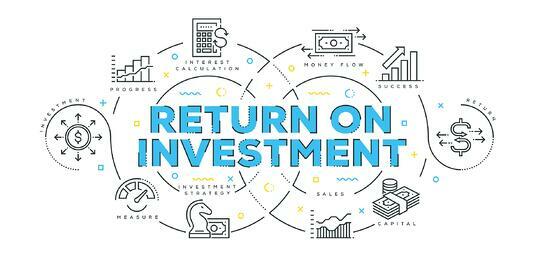 Separate Return on Objectives (ROO) from Return on Investment (ROI). Your goals are your standard for a successful campaign. If your goal in investing in digital signage is to increase customer engagement, then you have to compare the data before and after implementing the marketing campaign. If your campaign has an objective different from the goals, such as increasing employee productivity, then separate this objective from the goals. Measure the ROI by comparing data gathered before and after the campaign, the differences in customer engagement, sales figures, and return customers. If the goal is to increase your sales, can you determine a direct link between the increase in sales with the implementation of the digital signage? Find that link and you’ll have a clear measurement of sales ROI of the campaign after implementation. Digital signage also works to decrease operational costs as it offsets certain advertising costs. Advertising costs include manpower and time, so determine if the digital signage frees up employee time and delegates the time saved to more important tasks. Savings from advertising costs via manpower time is now your savings ROI. It also decreases advertising costs as the marketing tool increases the potential for good customer reviews, and the likelihood of them sharing their experience with friends, family, and their social network. Sharing brings in more customers at a low cost. Another way of measuring ROI is by directly asking customers for feedback of their experience in engaging with the digital signage. This is a direct, but much overlooked approach to measuring ROI. Feedback can be measured by the number of customers satisfied with the signage and how helpful it is in giving a positive experience to customers. The bottom line is that digital signage greatly impacts your business in different ways. Map out the benefits you want from the campaign – these may not be easily measurable and may take some time to be sorted out, but in the end quantifiable figures will come out. Positive impacts in productivity and customer engagement have ways of showing in figures, such as through increases in sales and decreases in expenditures, as well as increases in return customers. Make the initial plan, including how to measure your ROI, and pivot or alter the measurements as implementation takes place over time.